(MENN / Weekly Blitz) As the waitress whose family had come from Ethiopia put the pizza on the table at the Tel Aviv restaurant, I contemplated the ridiculous misuse of “race” as a factor in the Arab-Israeli conflict. Regardless of skin color, the waitress and I belong not only to the same country by way of citizenship but also to the same nation and people in a very profound way that isn’t true for countries that are merely geographical entities. Among the scores of ridiculous things said, thought, and written about the Arab-Israeli conflict, the pretense that it has something to do with “race” ranks high among them. This has been interjected for two reasons. First, this is a blatant attempt to demonize and delegitimize Israel. Second, due to trends in Western intellectual discussions, there is a conflation of nationality and race. Often, there is an attempt nowadays to portray any form of nationalism in the West as racism, though this is never applied to Third World nationalism. Neither the internal conflicts in Iraq (among Sunnis, Shias, and Kurds) nor in Lebanon (among numerous groups) are about race but rather arise from national, ethnic, and religious (sometimes all rolled up into one) conflicts. One of the most basic lessons in looking at foreign or international affairs is to understand that countries just don’t think alike about issues. America, and in a different way Europe, has been obsessed with race. That doesn’t mean that everyone else is racially oriented. 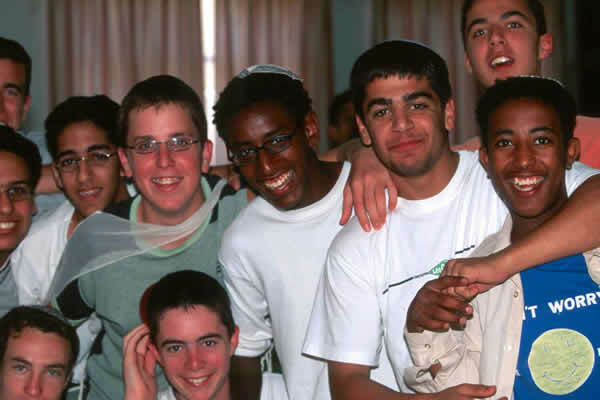 Israelis don’t think about skin color as such and are well aware that Jews, while having a common ancestry, have been affected by many cultures and societies. With intermarriage rates between Jews whose ancestors came from Europe and those who came from the Middle East approaching half in Israel today, there is no way to classify people. In fact, Israelis are far less interested than other countries about people’s ancestral travels. Moreover, what does one say about such “darker-skinned” Israelis as my Hungarian-Yemenite colleague or my Syrian pianist neighbor whose wife is from Poland by way of Argentina? There is absolutely no issue of race involved here. And many Israelis of European origin are not fully “white” in their appearance. Indeed, Israel has more “blacks” among its Jews (from Ethiopia) than among its “Palestinians” by far. Israeli media never use racial stereotypes or epithets while Arab and Palestinian media have had numerous racist remarks and cartoons about such American leaders as Colin Powell, Condoleeza Rice, and now even Barack Obama. In a recent radio interview, one of the leaders of the Islamist movement in Israel said that it was a disgrace that a black Israeli soldier could ask for the identity document of an Arab Muslim. Yet such racism from the Arab / “Palestinian” side is ignored in the Western media. While there have been some incidents in reaction to the arrival of Jews from Ethiopia, these have been few and universally rejected. Moreover, Israel has given refuge to the American “Black Hebrew” movement when it easily could have deported them. I have had friends, mostly Filipinos, who were illegal workers (they overstayed their work permits) and were subsequently deported from Israel. None of them ever reported a single case of “racial” mistreatment and I don’t believe there has ever been. Though deported, not one of them bears any grudge against Israel, quite the contrary they could serve as citizen ambassadors on its behalf. Furthermore, workers’ advocacy groups have never reported a single racial assault or even insult on any foreign worker in Israel. The problem, of course, is that there is at times terrible economic exploitation by unscrupulous employers, but this is, unfortunately, in no way atypical in the world today. The Israel-Palestinian and Arab-Israeli conflicts are in no way “racial”. … The attempt by anti-Israel slanderers to inject a racial aspect is ludicrously nonsensical. The Israel-“Palestinian” and Arab-Israeli conflicts are in no way “racial”. National identity is something quite different from “race” generally. Israelis and Arabs are not easily distinguished by skin color. The attempt by anti-Israel slanderers to inject a racial aspect is ludicrously nonsensical. If you have ever traveled in Syria you might have noted that the average skin color of people there is lighter than that of Israelis on average. Generally speaking, there is less variation in “racial terms” between Israelis and “Palestinian” Arabs than there is among member states of the European Union. But if you can label a group that is engaged in a conflict with another group as racist, this automatically “proves” that the former is in the wrong. If the conflict is a national rather than a racial one, however, you actually have to think about the issues. Who’s right in the following conflicts: Irish Catholics or Protestants; Basques or Spanish; Bosnians or Serbs; Russians or Chechens, Somalis or Ethiopians; Iraqi Sunni, Shia, or Kurds; Indians or Pakistanis; Azerbaijanis or Armenians? And so on. The answers cannot be deduced automatically. But label one side as racist and the discussion is over. This, then, is a trick for deceiving, not a tool for understanding. I don’t think there’s any question that there is far, far more racism in Europe or in the Arabic-speaking world than in Israel — and that’s an understatement. Prof. Barry Rubin is director of the Global Research in International Affairs (GLORIA) Center, editor of the Middle East Review of International Affairs (MERIA) Journal, and a featured columnist for PajamasMedia at http://pajamasmedia.com/barryrubin. His latest books are The Israel-Arab Reader (seventh edition), The Long War for Freedom: The Arab Struggle for Democracy in the Middle East (Wiley), and The Truth About Syria (Palgrave-Macmillan). Log in | Register |	86 queries. 1.771 seconds.